August | 2013 | I have to write something EVERYDAY?! 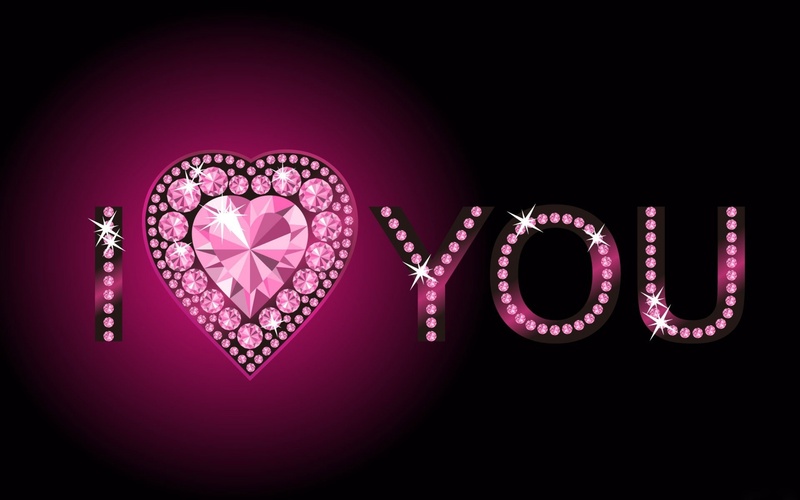 I’m so happy to be with you! Fortunately, nothing exciting happened to Bonny over the weekend. Excitement (and most other emotions) are translated as stress by Bonny. So, she was happy to have a quiet weekend with her peeps. We did many of the things that she is used to during her “normal” life. Bonny investigates the pavement intently. 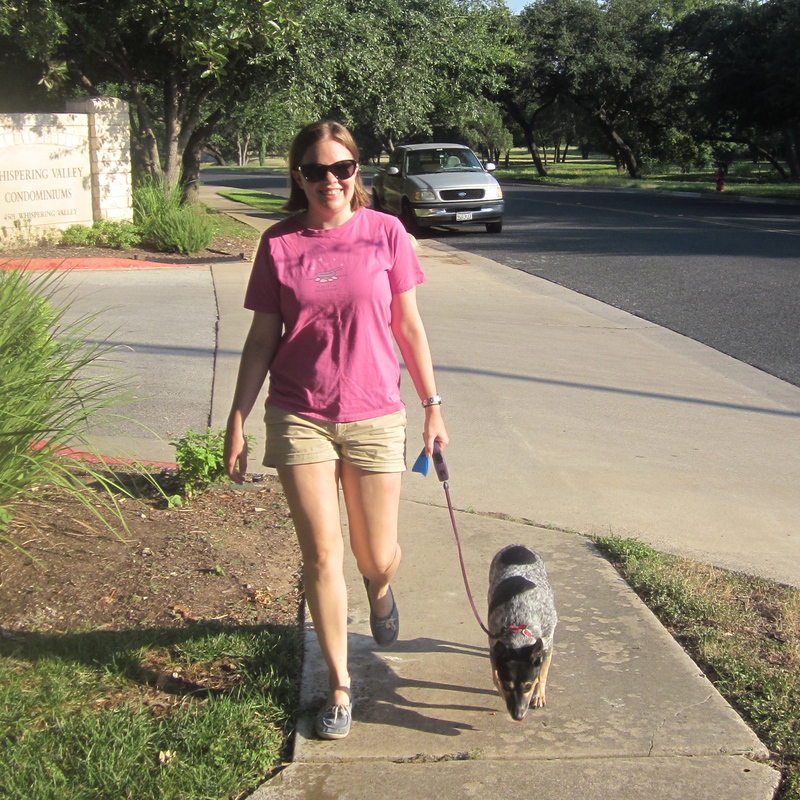 We went on a morning walk around the neighborhood to explore smells, get some exercise, and enjoy the weather before it gets too hot (which is about 9:30 a.m. here in Austin). Note how she has immobilized my foot with her paw. 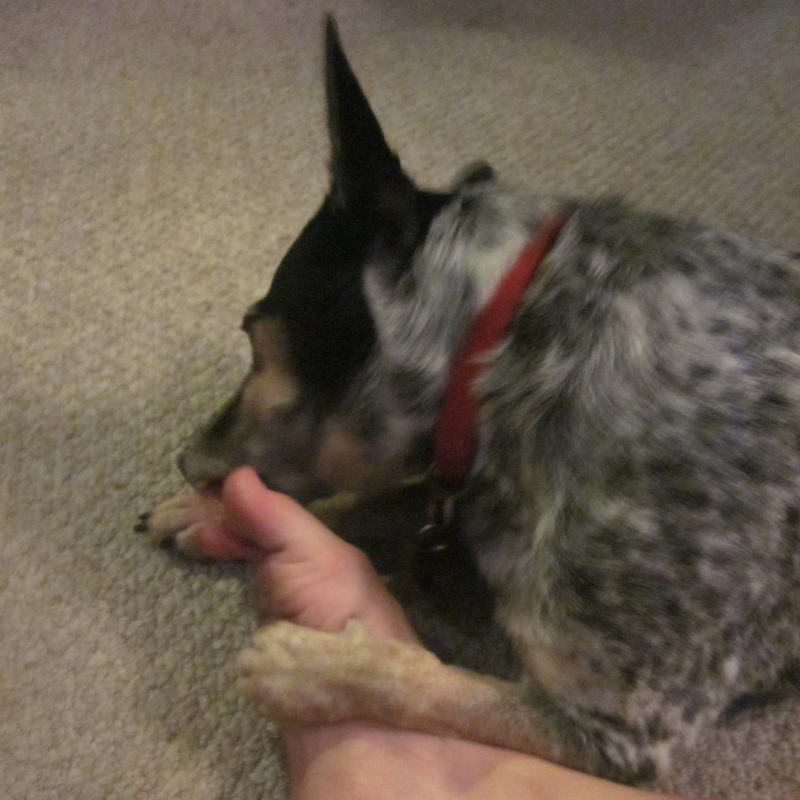 She got to ambush me and lick my toes vigorously. 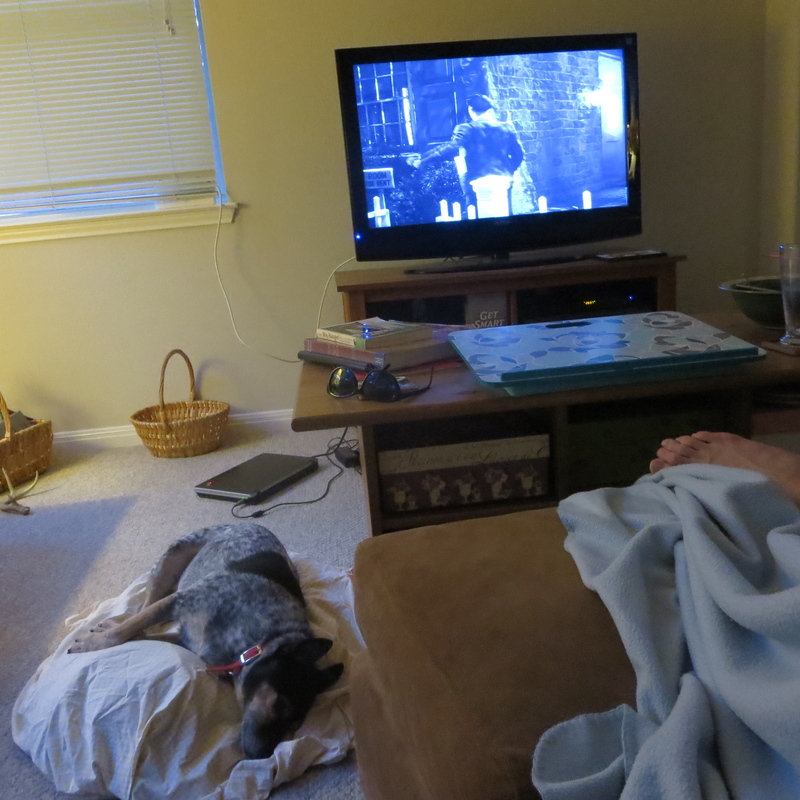 Jack and I have since stationed ottomans and other chairs around us so that we can elevate our feet above her reach. We put down a blanket for her near the television because Bonny knows that means it’s movie time, and time for her to go to sleep and not bother us. Her ever-present vigilance has lapsed. Normally, Bonny is constantly on high-alert making sure that we are where she can see us, and herding us together when we get separated (for example, going to the kitchen to get a drink of water). I think she’s figured out that when the loud box is on, we will stay put for a few hours, so she can relax. 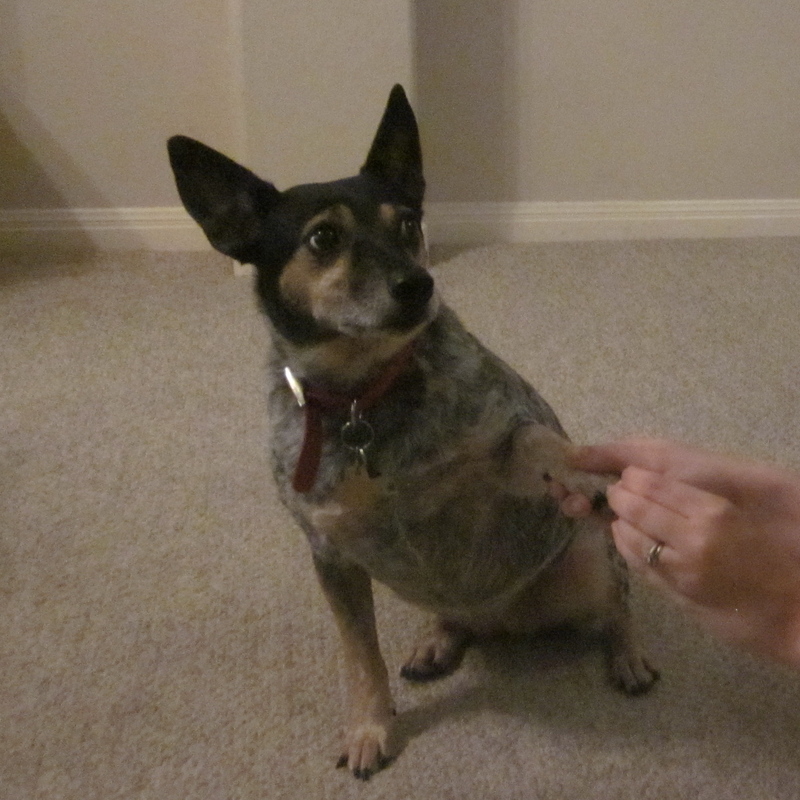 Yesterday we decided that Bonny needed a nail trim. Whenever she walked on the tile or wood floor she would go “click, click, click.” It was also somewhat painful when she put her paw on your knee. However, there are not enough adjectives in the English language to describe how much Bonny despises going to the dog groomer to get her nails ground down. But it had to be done. 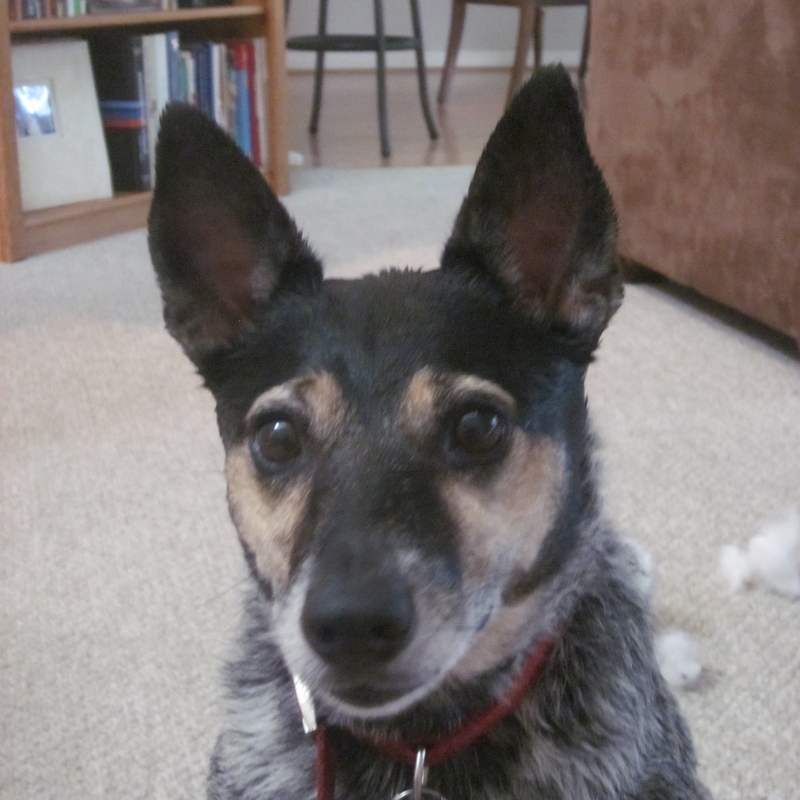 So, I called her vet and a nice lady faxed over Bonny’s vaccination records to the pet groomer near our house. Bonny must have known something was up because the moment I put her lead on, she started whimpering and becoming hysterical. Usually a lead means she’s going for a walk, but she must have a sixth sense for these things. I put her baby gate into the trunk of the car so that she couldn’t jump into the back seat and helped her hop up into the trunk. During the entire trip to the groomer, Bonny would look through the slats of the baby gate as though I were Benedict Arnold. When we got to the groomer, she immediately started yelping and jumping around the car like a Mexican bean. I opened the hatch and let her jump out. She immediately started hopping around nipping at my shirt and trying to climb into my arms. It was so embarrassing. Several people remarked about my “cute puppy” and wanted to pet her, but after only a few seconds of observation, they realized that wasn’t in the cards for today. When I took her into the groomer, she was in my arms, calm. I let the groomer know that the vet had faxed Bonny’s paperwork over, so she should be ready to go. The groomer said, “Oh yea…where did I see that…” I wasn’t sure that she would find the paper, but I was sure that Bonny’s nails would get ground down. I was not about to leave and go through all this trouble for nothing. She did find the paper, so I didn’t need to make any demands. Fortunately for everyone, Bonny let the groomer hold her and carry her over to the grooming table and stood gently while her nails were ground down. She shook like a leaf the whole time and didn’t take her eyes off me. At one point I bent down to pick something up and was momentarily hidden from her view by a half wall. She started crying immediately. I popped right back up and she calmed down. This was, by all accounts, a resounding success for Bonny. 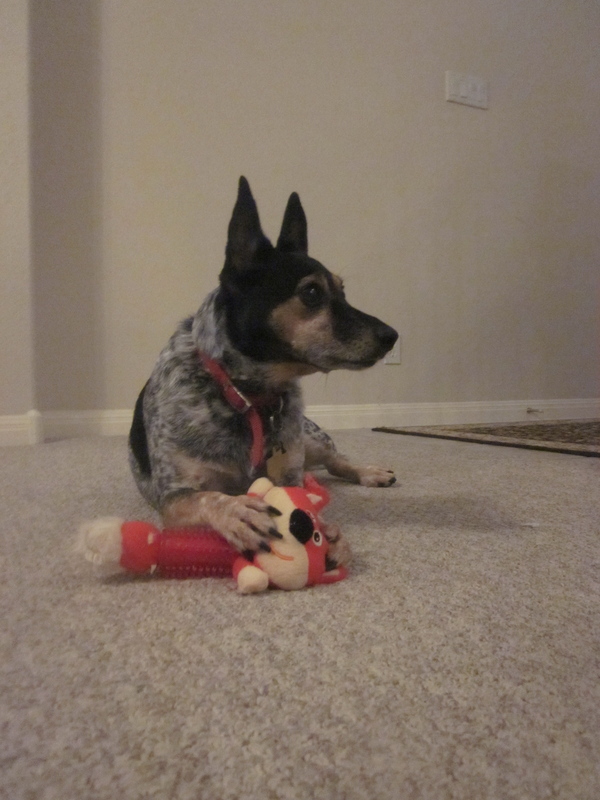 After the unpleasantness of the groomer, I took her into the store and bought her a little toy that was on clearance. This is Bonny’s equivalent of me, as a small child, getting a doughnut if I didn’t cry getting a shot. Then I took her home and attempted to recreate a manicure scene with limited success. 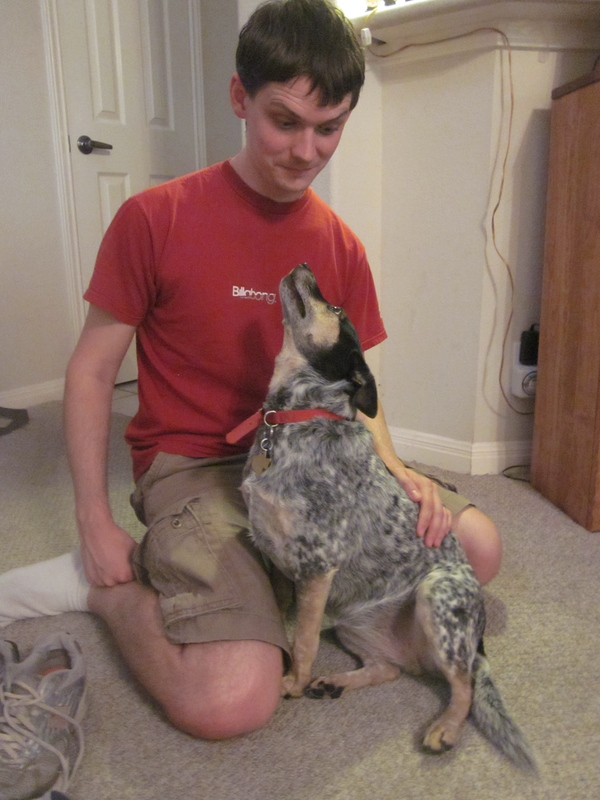 I did, however, get a great picture of her and Jack being adorable together. Bonny has been enjoying her internment at our house for the past few days. 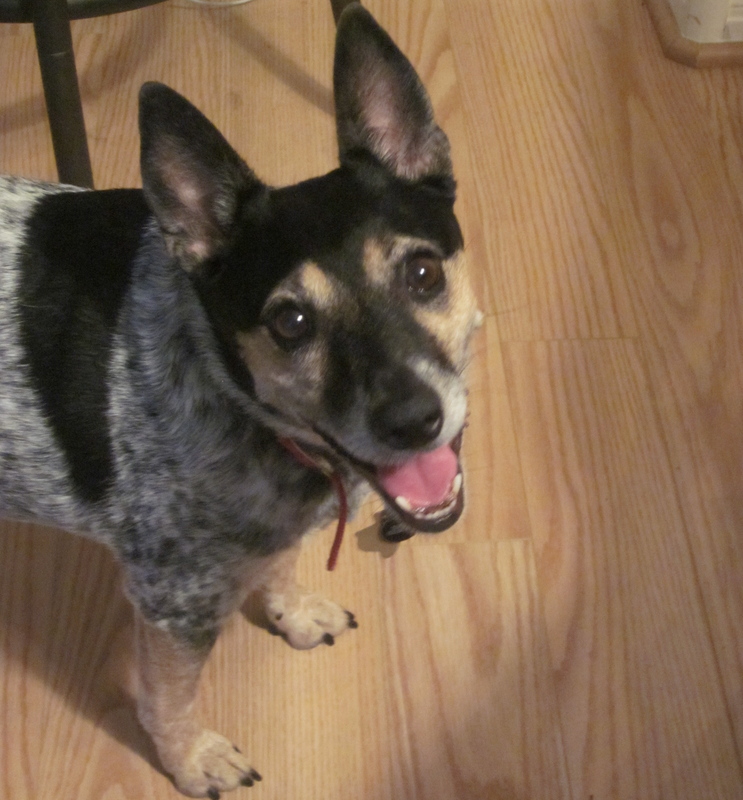 Jack and I play a game with her where we go to different sides of the house and take turns calling her and giving her a bit of carrot or a bit of a Beggin’ Strip. She dashes all over the house in an effort to get about one molecule of food. Today I left for the fabric store to get some material to make curtains for my room. I was gone about 45 minutes. When I came back, I found out that Bonny had gotten sick and soiled the carpet. 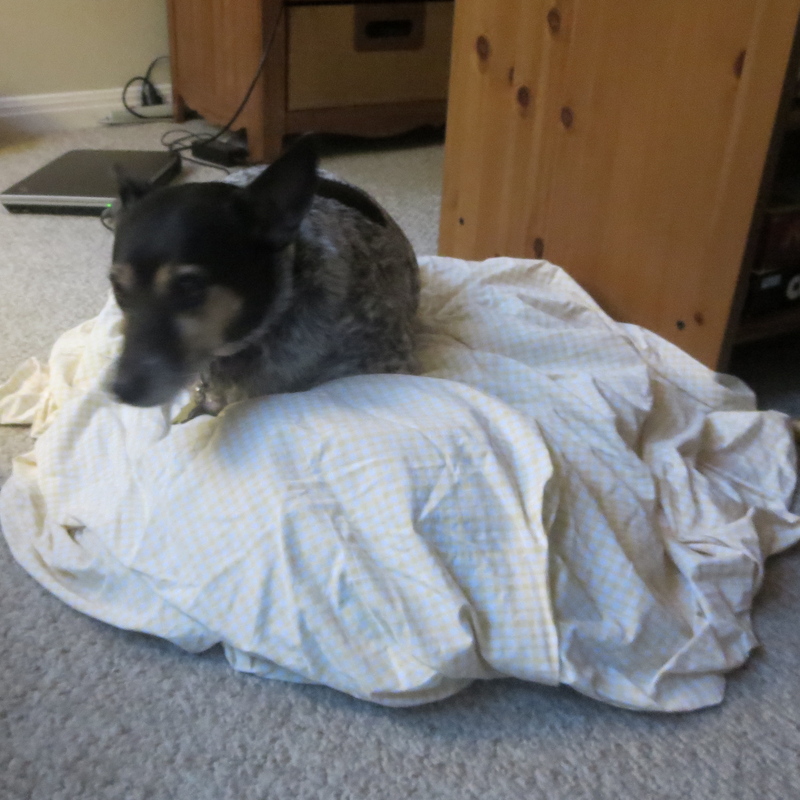 It is not like her to do this–she’s normally a very tidy dog. Upon closer inspection, I realized that what she had ingested and then expelled was: a Clorox wipe. I don’t know which end it was expelled from. There is compelling evidence for both scenarios. I will not go into detail here. I’m just glad that, if she did vomit the wipe, she didn’t choke on it. The thing is, we don’t have any Clorox wipes at our house. I use a spray bottle and a rag to clean things. My theory is that on one of her outings to the background, there must have been a bit of trash that had blown into our yard and she ate it up. Fortunately, the stain came right out of the carpet. But, from now on she will only be able to go out on supervised visits outside! My parents and sister are on vacation, so their Interesting Dog is staying with us for a while. She came on Saturday and spent most of that first day running around inspecting her new environs. Bonny (naturally) does not like going to the v-e-t during my parents’ vacations, so this is a treat for her; but, she doesn’t know it. I think she just believes that she is periodically abandoned some place and is overjoyed when my parents decide to let her come back. Sunday morning we took her for a walk around the neighborhood, which was eventful because she was able to discover and thoroughly sniff about 87 new smells during the course of about 20 minutes. There were many dog smells, and at one point she literally stopped to smell the roses. Admittedly, it was adorable. Today we decided that Bonny needed a bath. Most of the time Bonny is very nervous. But, when she is especially nervous, she starts to give off a stench. Going on a car trip and arriving at our house was one of those stinky times. 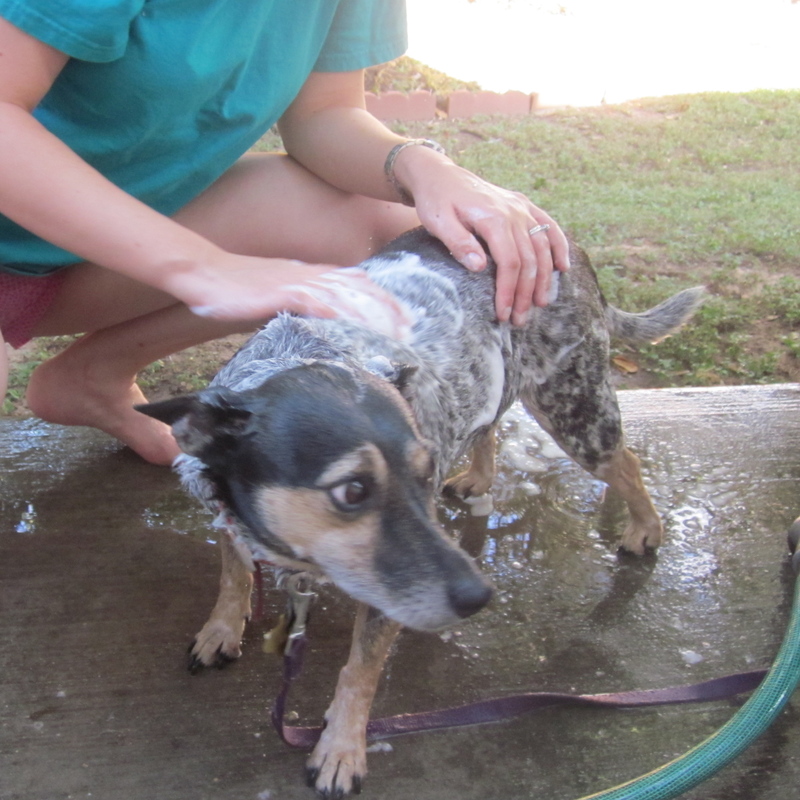 Jack and I remedied this by giving her a bath on our back porch. I’m not sure what this look means. 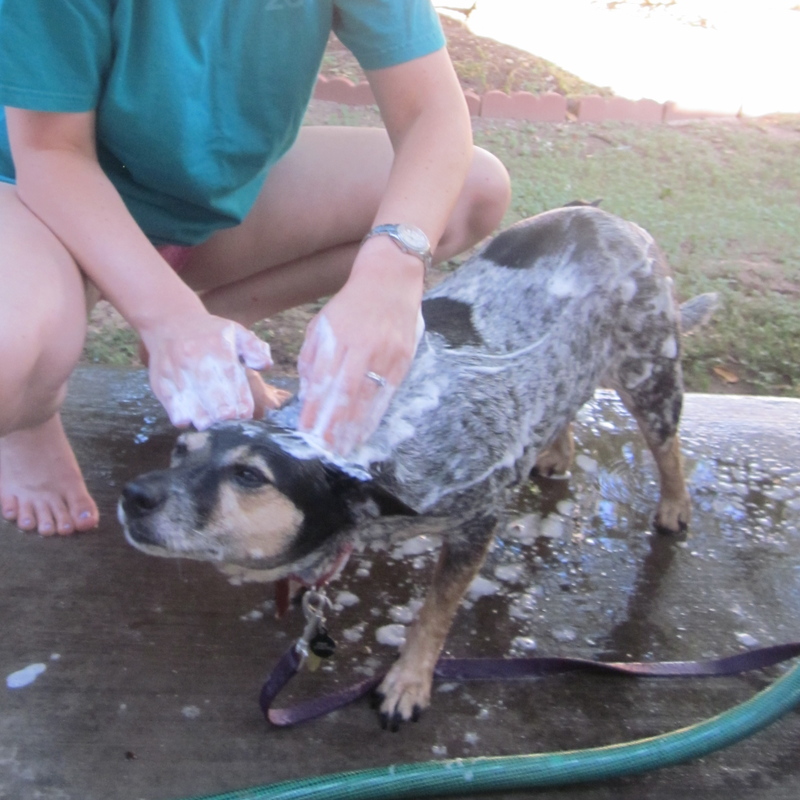 Like a lamb led to the bath, she quietly stood there and let us soak her in water, scrub her fur and wash behind her ears. She’s watching Jack laugh at her predicament. 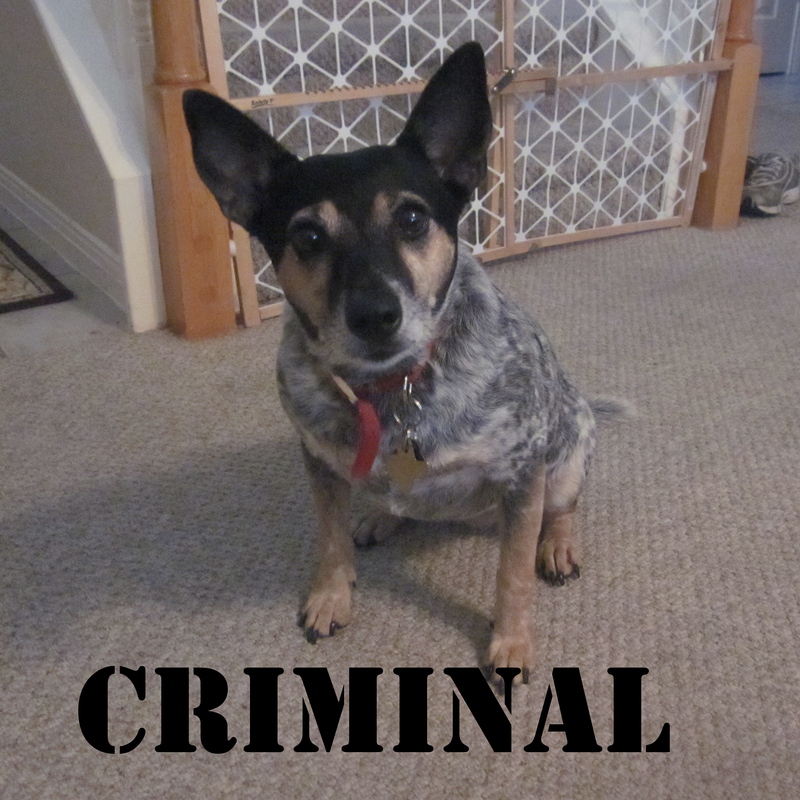 Then we hosed her off, dried her with a towel and sent her scurrying into the house to rub herself all over the carpet and pick up whatever non-soap smells might be found there. 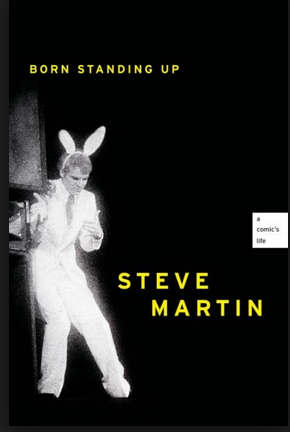 Born Standing Up is a memoir by Steve Martin chronicling is life as a comic from his beginnings at Disneyland as a young person to the point where he was selling out thirty-thousand-person auditoriums. I recommend it. It is possible that Steve Martin had a ghost author for this book, but I don’t think so. I think that besides being a funnyman, an art connoisseur, and a banjo virtuoso, he is probably also a fantastic writer. The book reads easily and has just the right pace. The book is not funny–I never once laughed out loud–but it is interesting. Many of the tales in the books are melancholy and for good reason; becoming a performer is a slow and sometimes humiliating process. But Martin keeps the tone generally laid back and most of the book is whimsical and sly. One gem in the book is the collection of photographs sprinkled through the text. Many of them are from Martin’s home collection and they give the reader a peek at the normalcy that surrounded Martin until he was catapulted into fame through appearances on Johnny Carson and Saturday Night Live. Born Standing Up isn’t captivating, and you don’t come away saying, “Wow! I just read a really good book.” However, the book is an intriguing read for any Steve Martin fan and should be essential reading for anyone who is planning on going into show business. I have a little weekly schedule to help me keep up with all my chores. On most days, I sort of dread checking off my chore. It usually involves stooping and scrubbing, and rarely can it be done while reading a book. But on Monday, my chore is a little less tiresome because it is grocery shopping day. When I stroll the aisles, I think about how much good food there is to choose from and how happy I am that I have plenty of money to afford all the groceries I need. I’m not trying to be sappy. That’s really how I feel. I have too much serotonin. The only part that gets a little stressful is the produce section, specifically the fruit section. I enjoy fruit and like to pick up some quantity for me to munch on throughout the day. I like citrus fruits, but they’re not my favorite. I like melons, but Jack doesn’t and they’re hard to cut effectively. 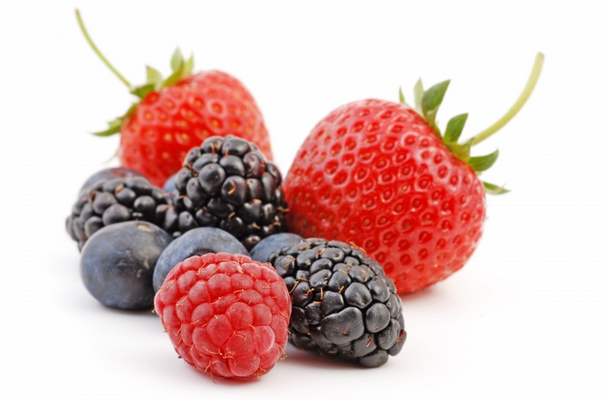 My favorite fruits are the juciest–berries and grapes and so I’m always tempted to grab them by the carton. On the first day home, I adore them. They look so cute and dainty in the little bowl I put them in. On the second, third, and fourth day, I like them. They’re so juicy, sweet, tart, soft. On the fifth day I realize that some of the berries and grapes at the bottom got squished by the weight and are too soft. I pick them out of the bowl and wash off the other fruit. On the sixth day I look and see that, despite my best efforts, some of the juices have caused mold and the berries have taken on a shriveled appearance. I throw out the rest. I’ve tried to only put half of the berries and grapes in a dish, I keep them in the refrigerator, I say prayers over them. It just seems so wasteful! This week I tried to solve the problem by purchasing carrots, which last plenty long. The only issue was that I didn’t have a sweet snack. So I baked a cake. We got some good news this morning. Our friends are getting engaged in a few weeks. I think they want to make it special and romantic by officially getting engaged in an exotic locale, but they’ve both decided that they want to get married. I think this is why I try to set people up a lot. My mother-in-law calls me “Emma” after the Jane Austen’s match-making heroine (That movie is, by the way, one of the exceptions). I see single people and think, “You cannot possibly be happy.” I know that’s not true. Plenty of people are happy to be single. But, I don’t understand how they could be. My cooperating teacher, Kathleen, was the same way. She was so blissfully wedded to her husband, she gave her all to make sure each one of her friends was properly matched as well. I’m excited to get more details at our next get-together and hear all they have to say. But for now: congratulations to my friend and his lovely bride-to-be!